Shared Parental Responsibility: Both parents confer and jointly make all major decisions affecting the welfare of the children, such as education, healthcare, etc. Shared Parental Responsibility with Decision Making Authority: Both parents attempt to agree on major decisions, but one parent will have the ultimate decision-making authority. When parties come to family court in Florida for paternity, dissolution of marriage, or child support proceedings, income of the parties can become very important in calculations and is examined closely. There may be certain situations where one parent is working overtime to make additional money, whether it be to pay support or to supplement income because of a lack of support being received. Can working overtime be a problem in your family court case? Florida Statute § 61.30(2)(a) indicates that gross income shall include, among other things, bonuses, commissions, allowances, overtime, tips, and other similar payments. Child support will be calculated from net income, so it is important to get all allowable deductions as accurate as possible. For purposes of child support, the court must impute income to a voluntarily unemployed or underemployed parent unless the lack of employment is the result of the parent’s physical incapacity or other circumstances beyond the parent’s control. The court has to state the exact amount of gross income it is imputing to a parent. See Shrove v. Shrove, 724 So.2d 679 (Fla. 4thDCA 1999). Regular overtime or second-job income is included unless the court specifically finds that the opportunity to earn overtime will not be available as an income source in the future. See Butler v. Brewster, 629 So.2d 1092 (Fla. 4th DCA 1994). Therefore, it can be possible that overtime and second-job income can be used to calculate child support and the court won’t make a finding that the income source will not be available as an income source in the future, making child support higher or lower depending on the circumstances. 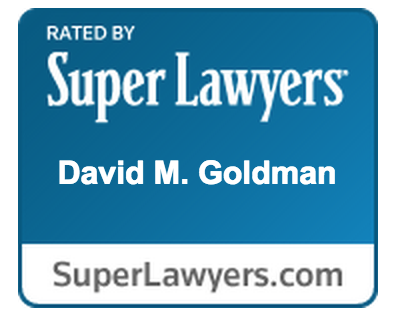 Contact an experienced Jacksonville Family Law Attorney with the Law Office of David M. Goldman, PLLC for a consultation. In Florida, the enhancement of value of a nonmarital asset could be declared by a divorce court to be a marital asset. 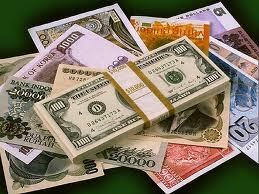 Most of the time you see this when one spouse’s nonmarital asset is alleged by the other spouse to be a marital asset. If it cannot be declared a marital asset any other way, the court may look at enhancement of value of the nonmarital asset and award the other spouse an interest of that enhancement of value. The Mitchell case illustrates this concept. In Mitchell v. Mitchell, 841 So.2d 564 (Fla. 2ndDCA 2003), the husband owned a Tampa Carrollwood home prior to the marriage and kept it titled in his name so it was nonmarital property. 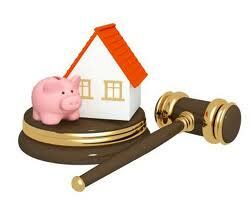 The trial court found that the home had been enhanced due to marital funds and efforts. Typically, the enhancement in value of a nonmarital asset resulting from either party’s nonpassive efforts or the expenditure of marital funds is a marital asset. The appellate court found that such enhancement in the Mitchell case was negligible. They performed primarily cosmetic or maintenance-related improvements, such as wallpapering. The most important factor in the increase in the value of the property was passive market appreciation, about 5 to 6 % annually. This produced a market value of $185,000. The appellate court found that where the increase in market value is attributable to inflation or “fortuitous market forces,” the expenditure of marital funds on the nonmarital asset does not transform the appreciated asset into marital property. However, an increase in equity due to the use of marital funds to pay down a mortgage balance is a marital asset subject to equitable distribution. The appellate court found that the wife’s interest in the home was limited to her one-half share of the amount by which the mortgage was reduced with marital payments. The husband in Mitchell also had 41 acres of unimproved land in North Carolina that was solely titled in his name alone throughout the marriage. The circuit court characterized the entire appreciation in the value of the nonmarital North Carolina property as a marital asset subject to equitable distribution despite the fact that the appreciation was entirely attributable to passive inflation. As in the case of the Carrollwood home, this was error according to the appellate court. It was undisputed that the property was unimproved. It had no sewer, septic, electric, or water connections. The record showed that the parties used marital funds to pay mortgage payments, taxes, and a road assessment fee. The increase in the husband’s equity due to the use of marital funds to pay down the mortgage was a marital asset to be divided between the parties. Otherwise, the North Carolina property was found to be husband’s nonmarital asset. Paternity in Florida: Who Pays For Birth Expenses? For any father who is involved in a Florida paternity action, it can be overwhelming to learn that you may have to pay not only child support, but retroactive child support and birth expenses for the child. Is there any way to limit the cost of what has to be paid to the mother for the time period prior to the paternity ordered being entered? The answer is: it’s possible. Florida Statute 742.031 provides that in a paternity action, the court shall order the father to pay moneys sufficient to pay reasonable attorney’s fees, hospital or medical expenses, cost of confinement, and any other expenses incident to the birth of the child and to pay all costs of the proceeding, if appropriate. The statute provides that bills for pregnancy, child birth, and scientific testing are admissible as evidence without requiring third-party foundation testimony and shall constitute prima facie evidence of amounts incurred for such services or for testing on behalf of the child.